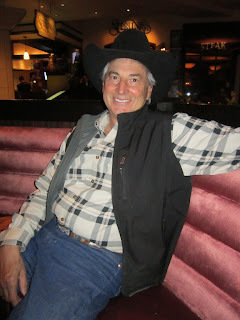 Our last night in Reno was celebrated due to Cowboy Ron's success in the advancing round of the Non-pro division. He and his horse, Scamper were so awesome! 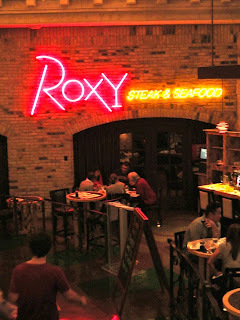 We decided to try the Roxy, home to over 100 martinis! I had the bright green, Asparagus Soup. It was smooth as silk but I felt like a parmesan crisp or something crispy could have been there to give it some texture. Otherwise it was very refreshing. My last night of scallops during the Reno trip and this one was the worst of them. I did not care for lumpy mashed potatoes and under cooked artichokes that were served with them. The lack of sauce on the plate really killed the deal for me. 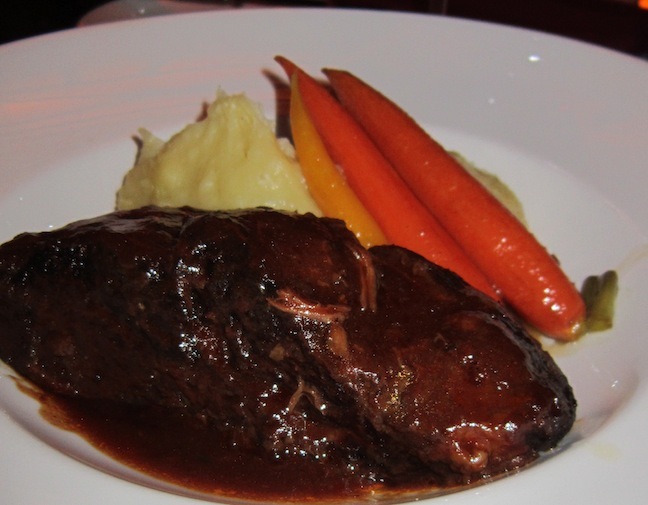 Scott had the short ribs and seemed to enjoy them. His mashed potatoes looked friendlier than mine did and I am sure tasted better with that gravy! The carrots were a little too al dente as well. Come on people, cook your vegetables! It wasn't a salad! Cowboy Ron ordered a steak because that is what cowboys do. He happily enjoyed it as it was cooked to a perfect medium rare. He ate his fries but said they were just ok. When you serve fries at a fancy restaurant make them the best darn fries someone has ever had. Enough griping for me. Reno was a long trip and I made it out alive. A few pieces of advice when traveling there: Stay in the casinos because the streets are quite scary. And gamble, do it. You will win, I have never had that much luck in Vegas. So bring a good attitude and you will leave with a smile!